Business forms are maintained by everyone involving in the field of business. In this field, it is important to record even a single change in the company for the future gain. There are many types of business forms performed by the companies, according to its needs to keep everything in writing for avoiding any kind of damages. Starting from legal to invoices, each thing needs to be maintained properly. Some forms are also made for tracking the company’s weakness as to improve them in the coming time. So business forms are very useful for maintaining any business strategy. The content of the forms varies with the purpose of it as a business organization follows a number of forms to keep the all details in safe. 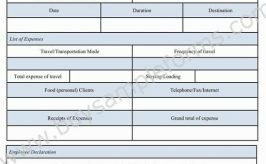 The business forms can be the corporate forms, which is used in the corporate business where stock certificate and such kinds of data need to be recorded. For maintaining a general document within an organization, general business forms. It records the information regarding maintaining the contract details of the products, liability release certificates and other information. Employment form is the common type of business forms, which records information regarding the employee details. 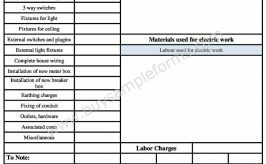 This form maintains all the terms and conditions stated while hiring employees and contractors for performing a certain job. 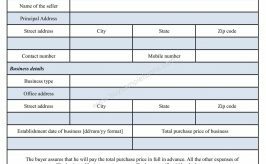 Another important type of the form which needs a great deal of attention to handle is the financial forms, which keep data of the financial transaction made by the concerned company that helps to notify the profit level for a certain financial year. It should be handled carefully as it involves the financial statement. Business forms are made to maintain the functioning of a business and that is why, many types of forms are available on the Internet. Here a sample format is given below. You can download the formats in both PDF and Word file for free. Customization is up to you.